Could a dead finger be used to unlock a phone? We have fingerprints (those tiny lines and ridges on your fingers) to help us grip objects more easily. 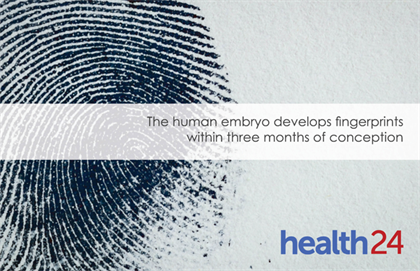 These unique identifiers are completely formed by the time a foetus is seven months old – and those fingerprints will remain the same for the rest of your life. Fingerprints develop according to the code in your DNA, and even identical twins will have slightly different fingerprints. Although it’s possible that two people could have identical fingerprints, the chances are incredible low. And that’s why fingerprints make the perfect security control to phones – the chances of a person having the same fingerprint to gain access is slight compared to someone being able to guess your password or pin code – your pet’s name or your date of birth, for example. An optical image captures various images of your fingerprint. Software then compares the images, and when it’s a match, the phone unlocks. This technology is more sophisticated and uses capacitors (these are devices that store an electric charge) to capture the pattern from your fingerprint. An electric circuit captures the data, which is used to compare the scanned fingerprint and unlock the phone. So, can a dead finger unlock a phone? Well, it depends on what type of sensor your phone has. If it has a capacitor scanner, then probably not for one simple reason – electricity. Right now, you have a tiny bit of electricity running through your body, which your body needs so that the nervous system can send signals from the brain to the body. But, when a person dies, the electrical current they carry stops, which may affect their body's ability to use the scanner. According to an article on LiveScience, experts don’t know who long it takes for a dead body to lose this conductance. “You would need a lot of dead bodies, and you [would] have to take their fingerprints to unlock the phone every hour or so … somebody has to be in the morgue continuously," Anil Jain, a professor of computer science and engineering who has spent years working on fingerprint recognition at Michigan State University and one of the authors of the Handbook of Fingerprint Recognition, told LiveScience. "It's a pretty difficult experiment to do." What about fingerprint readers that don’t use conductance such as an optical scanner? Prof Jain believes that all sensors will be affected because “skin gets noisy over time”. He explains, "If there's no blood flow, then the fingers will start showing some kind of wrinkles or shrivel up." This may change the fingerprint, which means the sensor will detect something completely different to the original. In addition, most phones have "some sort of buffer that would make it more difficult for someone to use your fingerprint to unlock your phone after your death" Prof Jain added. That means you'd need to type in a pin code after a few days of inactivity; and you only have a limited number of attempts at guessing the correct code before the phone locks. But, Prof Jain says if you manage to get around all these hurdles and the person has died recently, it might be possible to unlock a phone using a lifeless thumb. Not that we would recommend trying it.